Hot Stuff Oven Mitt Refill. 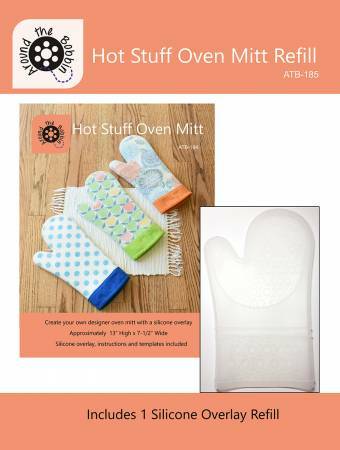 Includes one silicone oven mitt overlay to make a designer silicone oven mitt with your favorite fabrics using ATB184 Hot Stuff Oven Mitt pattern. Create a designer silicone oven mitt with your favorite fabrics.